The Simon Communities in Ireland welcome the first National Statement on Housing Demand and Supply launched today outlining that 21,000 homes need to be built annually to meet housing need. However, the homeless and housing charity also stressed the urgent need for housing given the growing numbers of people becoming homeless and in housing difficulties across the country. Niamh Randall, National Spokesperson for the Simon Communities, said that while the National Statement say the pace of housing output needs to accelerate over the next three years to meet demand, the Simon Communities believe it must be more urgent than this. 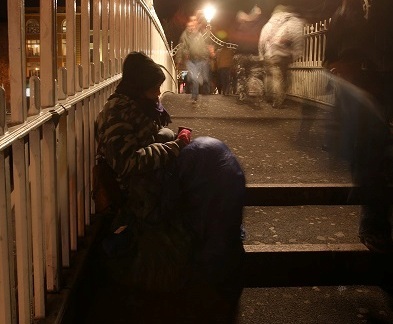 During one night in April 2015, there were 151 people without a safe place to sleep in Dublin City (DRHE 2015). This included 105 people sleeping rough and 46 people sheltering at the Nite Café. Unfortunately, Dublin is the only area where an official rough sleeper count takes place, making it difficult to get a countrywide rough sleeping picture. Figures from Cork Simon Community indicate that rough sleeping in Cork City increased seven-fold in three years (2011-2014). In December 291 extra emergency beds were made available (Dublin and Cork), they are all or almost all are in use, (beds in Cork winding down since March 31st). In December the Simon Communities reported a 41% increase in the numbers of individuals and families around the country turning to our services for help over a two year period. The Simon Communities in Ireland are a network of eight regionally based independent Simon Communities based in Cork, Dublin, Dundalk, Galway, the Midlands, the Mid West, the North West and the South East that share common values and ethos in tackling all forms of homelessness throughout Ireland, supported by a National Office. The Simon Communities have been providing services in Ireland for over 40 years. The Simon Communities deliver support and service to over 6,000 individuals and families throughout Ireland who experience – or are at risk of – homelessness every year. Whatever the issue, for as long as we are needed, Simon’s door is always open. For more information please log on to www.simon.ie.